We watch a lot of video car reviews because, well, we like to. As journalists, it helps give us perspective on what other journalists feel and as enthusiasts it lets us watch videos about cars. So it’s win/win, really. However, we especially like POV (Point of View) reviews, as it gives you an even better idea of what the car is like to drive. Just like this new POV review of the Audi S3 Sportback from Carwow. Now, here in America, we’re quite jealous of the Europeans and their ability to buy cool hatchbacks and wagons that we don’t get. 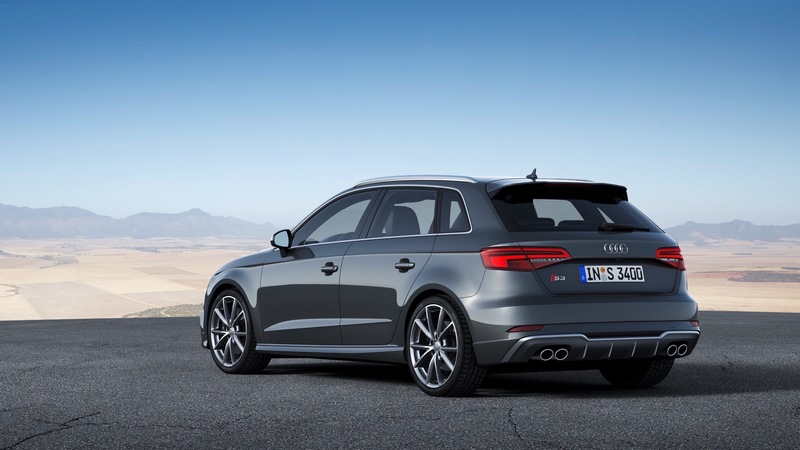 The Audi S3 Sportback is a prime example of that. We get the Audi S3 sedan and we know quite a lot about that car but the Sportback version just adds so much more usability and practicality to the S3 without ruining any of the fun. So it’s the one we’d choose if we could. But, alas, we can’t. In this new video, we get to see what it’s like to launch and drive the Audi S3 Sportback, making us even more jealous. Mechanically, it’s no different than the S3 sedan. So it uses the same 2.0 liter, turbocharged four-cylinder engine, making 310 hp. That means, when equipped with its seven-speed dual-clutch gearbox (the only transmission option in America), it can get from 0-60 mph in 4.6 seconds. While not absurdly fast, it’s far more than quick enough to be entertaining. As evidenced by this video, where we get to see what the S3 can do with an open road and launch control. Even in the soaking wet, the Audi S3 is quick off the line, getting to 100 mph in what seems like no-time. It’s seriously quick. What’s great, though, is that it doesn’t fall apart when the road gets twisty, either. It’s dynamic, capable and sports a ton of grip. The only oddity about the S3 is that despite being so mechanically similar the Volkswagen Golf R, it’s not as exciting. Still, it’s more luxurious and better to drive every day. Overall, the Audi S3 Sportback is an awesome car that blends good looks, impressive performance and dynamic capability into a practical package that can haul the kids and dog around. Sign us up.